We're skipping the link party this week to bring you a tag sale preview. We have a whole house chock full of fabulous furniture, vintage treasures and all kinds of sweet stuff. And I do mean chock full. We're practically bursting at the seams. In the days leading up to a sale, new items arrive daily and the house become a bit of a maze! and a good bit of the back yard too! Plus, you guessed it, the garage is chock full too! I promise the inside will be all neat and tidy when we open. But in the meantime we'll carry on with our preview, just be careful not to trip over anything! Let's see if we can make our way into the kitchen! I know, there is stuff everywhere! Let's head upstairs, where everything is in place! There will be lots of new summer wreaths to choose from and you can check out the complete collection at Elizabeth and Co. Wreath on Etsy. All wreaths purchased at the tag sale will be 20% off the Etsy list price. And custom orders are welcome too! Be sure to check out the beautiful handmade cards by local artist Yvonne Zeminski of Elegant Inkz! 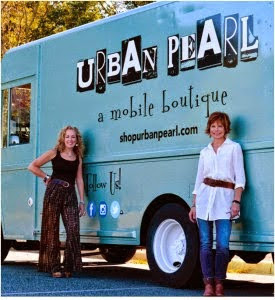 On Wednesday from 3 PM to 7 PM, the fabulous Urban Pearl mobile boutique will be bringing all the latest summer fashions and accessories right to our door! And we're excited to welcome Brooke Schnorr with her LuLaRoe pop-up boutique on Friday from 9 AM to 5 PM and on Saturday from 9 AM to noon. LuLa Roe specializes in women's dresses, skirts, leggings and more. They are all on-trend and simply comfortable! 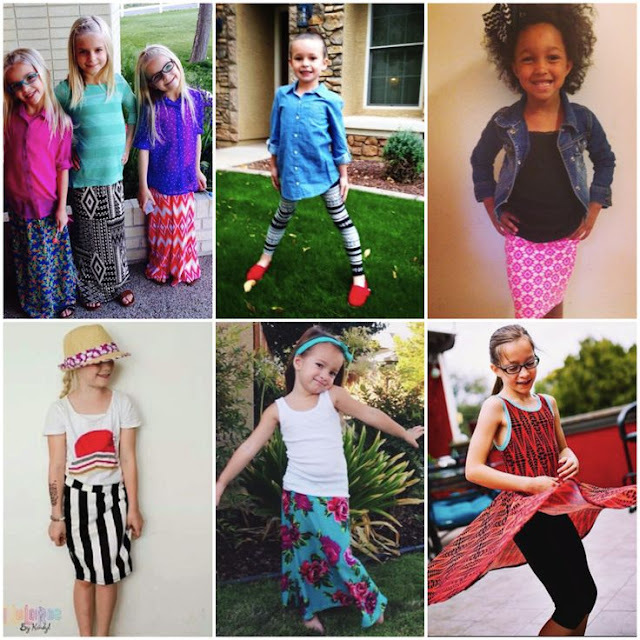 There is even a LuLa Roe line for the little ones in your life! Good luck on the sale Sharon! Everything looks fantastic!!! i may try to come weds but will have kiddos with me. and can you tell me how much that teal cabinet is? i am still just drooling over it. i don't NEED it, but i could replace one piece i have with it... you know how it goes! good luck with the sale, i love that lower corner cabinet. you almost think it's a fireplace...if that makes sense. Lots of luck to you on your sale, Sharon! Also, I just have to know ... are you holding that sale in your house?! Hope you have a great sale! I see many things I'd like to buy if I were closer. Oh my , you have some wonderful things! I sure wish I lived closer! Wish I were closer! It looks fabulous. Have fun and do well! oh my! everything looks perfectly perfect Sharon!! You won't be full for long. That stuff is going to fly out the door. wishing you great weather, and fantastic sales!